This week’s Toehold Power of Photography Contest is here! The theme is ‘Water Drops! Share with us some brilliant images you have made depicting the theme! The Contest is open from 22 October, until Sunday, 28 October. Post an image you have made – one that depicts this week’s theme clearly – on your own Facebook/Instagram/Twitter wall. Tag the Toehold page in your description of the post. Do NOT forget to add the hashtags #ToeholdPower and #WaterDrops! That’s the only way we can find your entry to this contest. That’s it! The deadline for the contest is 11:59 p.m. IST on 28 October. Winners will be picked and announced by 31 October, Wednesday! 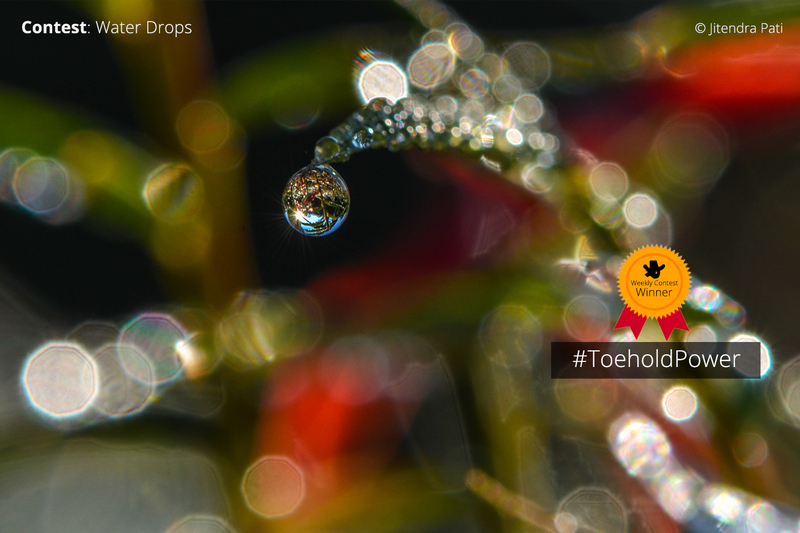 The winner of last week’s Power of Photography Contest with the theme ‘Water Drops’ is here! This stunning image is made by Jitendra Pati! Congratulations, Mr. Pati!